This Environmental Scan is not intended to provide a comprehensive review of the topic. Results are based on selected published literature, grey literature, and other publicly accessible information from the websites of various health technology assessment (HTA) agencies and drug regulators. This report is based on information gathered as at October 2013. The purpose of this Environmental Scan is to provide an overview of the SEB landscape in order to understand the implications for Canada and the world. This information could assist drug policy decision-makers, as well as stakeholders, in developing approaches to address key issues related to the review and reimbursement of SEBs. What has been the trend for SEBs among regulatory agencies around the world? What is the current standard of approval for SEBs by Health Canada? What has been the trend for SEB approvals and recommendations around the world? How is the SEB pipeline evolving? What is the current and predicted market volume of SEBs, and their financial impact? How have SEBs been considered for pricing? How are SEBs currently reviewed by HTA and reimbursement organizations around the world? How are the requirements for the evaluation of SEBs evolving? What has been the trend for SEB recommendations and advice from HTA agencies around the world? This section reviews the regulatory guidelines for SEBs from the EMA in the European Union, the MHRA in the United Kingdom, the FDA in the US, and Health Canada. All three regulatory authorities follow similar scientific principles in their guidelines for the evaluation of SEBs. The main principle underlying each guideline is to demonstrate the similarity of the SEB with the reference product, as the therapeutic benefit has already been established for the reference product.6 The type and magnitude of clinical data requirements is evaluated on a case-by-case basis, and depends on the level of uncertainty regarding this similarity. Overall, there is a reduced requirement for non-clinical studies and clinical trials and an emphasis on analytical and biological comparisons of the SEB with its reference product. A comparison of key features of the guidance document from each regulatory authority, including clinical trial requirements and the permissibility of extrapolation of trial results to multiple indications, are presented in Table 1. Table 2 presents the SEBs that have been approved in Canada, the European Union, and the US as of September 2013. Health Canada approved the first SEB in Canada before finalizing its guidance document.13 Omnitrope (Sandoz) was approved on the basis of its demonstrated similarity to Genotropin (Pfizer), a biologic approved for the treatment of growth hormone deficiency but not marketed in Canada at this time.14 Notably, the approval indications were limited to the treatment of growth hormone deficiency in children and adults. Other growth hormone drugs in Canada, such as Humatrope (Eli Lilly), Nutropin (Hoffmann-La Roche), and Saizen (EMD Serono), are also indicated for other causes of growth failure including Turner Syndrome and chronic renal disease.15-17 In May 2012, Teva applied for a Notice of Compliance to market a filgrastim SEB.18 In its application, Teva referred to Neupogen (Amgen). Amgen commenced a proceeding under the Patented Medicines (Notice of Compliance) Regulations seeking an order to prohibit the Minister of Health from issuing a Notice of Compliance to Teva before the expiry of Neupogen in 2024. This is the first case in which the Federal Court will consider prohibiting the authorization to market an SEB in Canada. The five-day hearing is scheduled to begin in February 2014. The EMA has approved 16 SEBs for use in the European Union within the drug classes of somatropin (3), filgrastim (7), epoetin alfa (5), and follitropin alfa (1).19,20 All were approved for multiple indications. Two of these approvals have since been withdrawn from the market: one for filgrastim in April 2011 and one for somatropin in May 2012. In June 2006, the EMA denied the marketing authorization for Alpheon (BioPartners), an interferon alfa-2a SEB intended for the treatment of hepatitis C.21 Issues identified included the quality, manufacturing technique, efficacy, and safety of Alpheon compared with its reference product, Roferon-A (Roche Laboratories). In September 2013, the EMA made the landmark decision to grant marketing authorization for the first SEB monoclonal antibodies.22 The two SEB versions of infliximab (an anti-tissue necrosis factor monoclonal antibody), Inflectra (Hospira) and Remsima (Celltrion), have been approved for all the same indications (i.e., rheumatoid arthritis, Crohn disease, ulcerative colitis, ankylosing spondylitis, psoriatic arthritis, and psoriasis) as Remicade (Janssen); however, clinical studies were limited to the populations of adults with ankylosing spondylitis (phase I studies) and rheumatoid arthritis (phase III studies).23 The launch of Inflectra and Remsima will be delayed until the patents for Remicade expire in February 2015. FDA officials have announced that they are working with SEB manufacturers on a total of 17 Investigational New Drug applications, but they have not received any SEB applications for authorization through the FDA's new abbreviated licensure pathway for biologics.24 Omnitrope (Sandoz) gained approval through the FDA's 505(b)(2) regulatory pathway, which allows generics to be approved through an abbreviated new drug application.3 This approval process, which relied on data submitted for the prior approval of Genotropin (Pfizer), proved to be problematic due to years of consultation and a lawsuit between Sandoz and the FDA. No additional SEB manufacturers have pursued the 505(b)(2) approval pathway. Neutroval (Teva) was approved using the regular licensure pathway for biologics.25 This non-abbreviated process requires significant pre-clinical and clinical data to prove the efficacy, safety, and quality of the biologic. A subsequent entry biologic is "a biologic drug that enters the market subsequent to a version previously authorized in Canada, and with demonstrated similarity to a reference biologic drug. An SEB relies in part on prior information regarding safety and efficacy that is deemed relevant due to the demonstration of similarity to the reference biologic drug and which influences the amount and type of original data required." "A biosimilar is a biological medicinal product that contains a version of the active substance of an already authorised original biological medicinal product (reference medicinal product). A biosimilar demonstrates similarity to the reference medicinal product in terms of quality characteristics, biological activity, safety and efficacy based on a comprehensive comparability exercise." "Biosimilar" or "biosimilarity" means that "the biological product is highly similar to the reference biological product notwithstanding minor differences in clinically inactive components and that there are no clinically meaningful differences between the biological product and the reference product in terms of the safety, purity, and potency of the product." It is preferred that the reference product is authorized for sale in Canada. If a non-Canadian reference product is used, the sponsor must show that it is representative of a version of a product approved in Canada. The reference product should be licensed in the EEA. Reference products sourced from outside the EEA are acceptable in certain preclinical and clinical studies on a case-by-case basis. Applicants will be responsible for establishing, through extensive analytical comparison, that batches sourced from outside the EEA are representative of the reference medicine authorized in the EEA. The reference product should be licensed by the FDA. If a non–FDA-licensed product is used, the sponsor must provide adequate information to scientifically justify the relevance of comparative data to an assessment of similarity and to establish an acceptable bridge to an FDA-licensed reference product. have the sensitivity to detect clinically meaningful differences. Justification should be provided for the selection of the study population (i.e., patients versus healthy subjects). A crossover design is recommended for products with a short half-life (less than five days) and a low incidence of immunogenicity. A parallel study should be used if the half-life is longer than five days. The choice of comparative PK study (crossover versus parallel study) should be determined based on the half-life of the biologic, the linearity of PK parameters, indications, the route of administration, the disease to be treated and, where applicable, the endogenous levels and diurnal variations of the protein under study. Using a relevant (most sensitive) patient population rather than healthy subjects is recommended. A single-dose crossover study is recommended. A parallel group design may be necessary for products with a long half-life and a high risk of immunogenicity. The most sensitive model/population (one that has fewer factors that cause major inter-individual or time-dependent variation) should be explored. Comparative PK studies that demonstrate similar exposure (e.g., serum concentration over time) with the proposed product and reference product should be used. Justification should be provided for the selection of the study population (i.e., patients versus healthy subjects). A crossover design is recommended for products with a short half-life (less than five days) and a low incidence of immunogenicity. A parallel study should be used if the half-life is longer than five days. To study the safety and efficacy of the product, validated methods should be used to characterize the antibody content (concentration or titre) and the type of antibodies (neutralizing or cross-reacting). Immunogenicity testing of the biosimilar and its reference product in humans should be conducted in parallel (in a blinded fashion) to measure the immune response (incidence of antibodies and antibody titres) against the product that was received by each patient. For biologics with multiple indications, an immunogenicity assessment for each indication is required. A comparative parallel design (i.e., a head-to-head study) with relevant end points, validated assays, and sufficient follow-up to detect binding and neutralizing antibodies is recommended. Extrapolation of immunogenicity findings from one indication to another should be based on data from patients who are most likely to develop immune responses. an increase in adverse drug reactions over those seen with the reference product. A sufficient number of patients treated for an acceptable period of time is required for the detection of significant differences in safety between the proposed SEB and reference product. Adequately powered, double-blind, randomized, parallel group, comparative trials are preferred. An equivalence design should be used. A non-inferiority trial may be accepted only when the possibility of increased efficacy can be excluded on scientific and mechanistic grounds. Product class-specific guidelines have been issued for the selection of efficacy end points. In the absence of such a guideline, the applicant should select the most sensitive end points. Clinical comparability margins should be pre-specified and justified on both statistical and clinical grounds by using data from the reference product. Both equivalence and non-inferiority studies are acceptable to show comparative efficacy and safety. The margins of an equivalence study should be scientifically based and should allow for the detection of clinically meaningful differences in effectiveness and safety between the proposed product and its reference product. Non-inferiority studies should demonstrate that no clinically meaningful differences in efficacy exist or that the proposed biologic poses no more risk than its reference product in terms of safety and immunogenicity. A non-inferiority margin should be scientifically based and pre-specified. End points must be clinically relevant and sensitive enough to detect clinically meaningful differences in safety and efficacy between products. End points different from those used in the clinical development of the reference product may be used, but they must be scientifically justified. Scientific justification for the proposed size and length of the clinical trial should allow for sufficient exposure to the proposed product and its reference product, as well as the detection of relevant safety signals (including immunogenic responses). Proposals for additional indications held by the reference biologic drug may be granted to the SEB in the absence of clinical data. In some cases, comparative (PK/PD) data to bridge two or more indications may be sufficient. It may also be possible to extrapolate clinical data to other indications when rationales are sufficiently persuasive. Justification should be based on the mechanism of action, disease pathophysiology, safety profile, and clinical experience. Demonstration of non-inferiority of an SEB to its reference product is not considered strong support for extrapolation to other indications, particularly if other indications include dosages that are different from those tested in the clinical trial. Full clinical trial data is required for indications not held by the reference biologic. Indication extrapolation is possible provided there is evidence of similarity from the comparability exercise and adequate clinical and scientific justification. The efficacy and safety of the biosimilar must be justified and, if necessary, demonstrated separately for each of the claimed indications. Justification will depend on clinical experience, the available literature, the mechanism of action of the reference product, and the receptors involved. For the extrapolation of safety, the applicant should consider patient-related factors such as concomitant medications, comorbidities, immunological status, and disease-related factors. any other factor that may affect the safety or efficacy of the product for each indication. Caution should be used when extrapolating safety risk profiles across indications, due to differences in comorbidities and concomitant medications. Since SEBs are not considered to be therapeutically or pharmaceutically equivalent to the reference biologic drug, Health Canada does not support the automatic substitution of an SEB for its reference product. No guidance has been given by the EMA, because this is the responsibility of national agencies. FDA has the authority to designate an SEB as "interchangeable" with its reference product. An interchangeable product "can be expected to produce the same clinical result as the reference product in any given patient." In addition, for a biological product that is administered more than once to an individual, "the risk in terms of safety or diminished efficacy of alternating or switching between the use of the biological product and the reference product is not greater than the risk of using the reference product with such alternation or switch." BGTD = Biologics and Genetic Therapies Directorate (Health Canada); EEA = European Economic Area; EMA = European Medicines Agency; FDA = Food and Drug Administration; MHRA = Medicines and Healthcare Products Regulatory Agency; PD = pharmacodynamic; PK = pharmacokinetic; SEB = subsequent entry biologic. (No) Treatment of growth hormone deficiency in children (other causes of short stature are excluded). Treatment of adult growth hormone deficiency. (Yes) Treatment of growth hormone deficiency, Turner Syndrome, Prader-Willi syndrome, growth failure due to chronic renal failure. Treatment of children who are born small for their gestational age. Replacement therapy in adults with growth hormone deficiency. (Yes) Treatment of growth hormone deficiency, Turner Syndrome, growth failure due to chronic renal failure in children. (Yes) Treatment of anemia in patients with chronic renal failure, adults receiving chemotherapy, or those undergoing elective orthopedic surgery. Use in autologous blood transfusion. (Yes) Treatment of neutropenia in patients receiving chemotherapy, bone marrow transplantation, and those with severe, repeated infections of advanced HIV disease. Use in hematopoietic stem cell transplantation. (Yes) Treatment of rheumatoid arthritis, Crohn disease, ulcerative colitis, ankylosing spondylitis, psoriatic arthritis, and psoriasis. (Yes) Treatment of fertility disorders. (Yes) Treatment of children who have growth failure due to inadequate secretion of endogenous growth hormone. Replacement therapy in adults with growth hormone deficiency (either childhood- or adult-onset). Used non-abbreviated biologic licence application pathway. (N/A) Reduction in the duration of severe neutropenia in patients with non-myeloid malignancies receiving myelosuppressive anti-cancer drugs associated with a clinically significant incidence of febrile neutropenia. SEB = subsequent entry biologic. The biologics market is expanding rapidly. Global spending on biologics increased from US$93 billion in 2006 to US$157 billion in 2011.28 This figure is expected to climb to between US$200 billion and US$210 billion by 2016.28 The majority of current biologic expenditures are concentrated in the US. Several top-selling biologics are due to lose patent protection over the next decade, opening a wealth of new opportunities for SEB manufacturers. Although SEBs may offer potential cost savings relative to innovator biologics, much debate exists surrounding how payers and health care professionals will utilize SEBs. This section reviews information regarding the uptake of currently marketed SEBs in the European Union, as well as predictions for the global market uptake and financial impact of pipeline SEBs. It has been estimated that patents for innovator biologics valued at approximately US$67 billion annually will be expiring before 2020.29 Table 3 provides a list of selected biologic patents due to expire in Canada before 2020, while Figure 1 lists the expiry dates for major patents in the US and the European Union. There are numerous SEBs currently in preclinical and clinical development. Table 4 provides a snapshot of the number of SEBs in development, along with global sales of their reference products in 2012. The majority of the products represented are in pre-clinical development.31 Table 5 shows the SEBs that have progressed to clinical development and those that may be licensed in the United Kingdom in the near future. Monoclonal antibodies represent the largest group of SEBs currently in pre-clinical and clinical development. SEBs = subsequent entry biologics. (Apotex) Neutropenia Recommended for approval in EU in July 2013. Predicted UK launch in 2013. (Finox) Fertility disorders Filed for EMA marketing authorization in December 2012. Predicted UK launch in 2014. (Eli Lilly/Boehringer Ingelheim) Diabetes mellitus (types 1 and 2) Filed for EMA marketing authorization in July 2013. Predicted UK launch in 2014/2015. CAN = Canada; EMA = European Medicines Agency; EU = European Union; SEBs = subsequent entry biologics; UK = United Kingdom; US = United States. NOTE: Market data does not account for additional classes of products, such as patent-protected biologics, that are currently not in direct competition with SEBs. NOTE: Defined daily dose is used as a proxy for the dose an average adult is given on a daily basis for the main indication of the SEB. The worldwide SEB market is expected to grow significantly in the future. 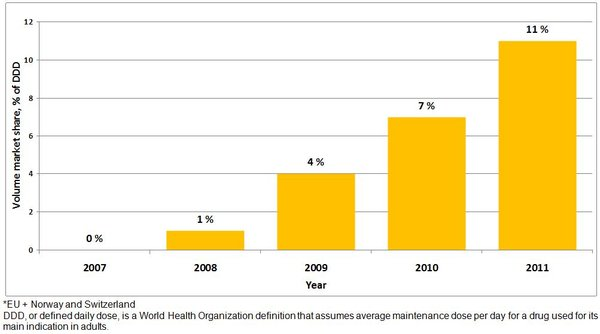 Figure 3 illustrates the projected growth in global spending from 2010 to 2015 for SEBs compared with innovator biologics, according to drug class. The 2010 global market for epoetin alfa, somatropin, and filgrastim SEBs, which was mainly generated in Europe, was US$311 million.49 Epoetin alfa accounted for the highest percentage of global sales, followed by filgrastim and somatropin. IMS Health (IMS) forecasts that, by 2015, global sales of SEBs are expected to increase to between US$2 billion and US$2.5 billion.49 The majority of this increase will be attributable to the sale of new SEB drug classes such as monoclonal antibodies, particularly in the US market. Bn = billion; CAGR = Compound annual growth rate; Mn = million. Bn = billion; Mn = million. In 2009, CADTH established a pilot project to facilitate the establishment of a standardized process for evaluating SEBs.55 Manufacturers currently follow the same submission guidelines as they do for other new drugs submitted to CADTH for the Common Drug Review (CDR) process. Since the pilot process was introduced (following the approval of Omnitrope), only one submission has been received by Health Canada. The Canadian Expert Drug Advisory Committeec found that appropriate outcomes had been evaluated to establish that the efficacy of Omnitrope was similar to that of Genotropin. In December 2009, the Canadian Expert Drug Advisory Committee advised that "drug plans consider a similar reimbursement policy for Omnitrope as for other growth hormone products. "44 During the fall of 2013, CADTH consulted with stakeholders to gather feedback before undertaking further reviews of SEBs.56 Key issues for consideration included using a tailored versus comprehensive CDR review process, data requirements, and submission procedures for evaluating SEBs approved for multiple indications.56 The findings will help formalize the process and requirements for submitting SEBs and evaluating them for listing recommendations in publicly funded drug plan formularies. cNow known as the Canadian Drug Expert Committee (CDEC). In Australia, each SEB application is considered by the Therapeutic Goods Administration (TGA) on a case-by-case basis.61 Applications are evaluated by the TGA under essentially the same SEB regulatory framework as the one used by the EMA. The recommendation to list an SEB on the Pharmaceutical Benefits Scheme may be based on a reduced clinical dataset provided there is sufficient information to support similarity in quality, safety, and efficacy in at least one approved indication for a biologic already registered in Australia. Currently, SEB sponsors need to put forward only a minor submission (relating to new forms of previously listed products) to be considered for listing on the Pharmaceutical Benefits Scheme.62 Such submissions are not as exhaustive as new drug submissions and do not usually require an economic evaluation. To date, the Pharmaceutical Benefits Advisory Committee has provided positive listing recommendations for four SEBs: Novicrit (2010), Nivestim (2010), Tevagrastim (2011), and Zarzio (2013).63-66 Novicrit was recommended based on a cost-minimization analysis with epoetin alfa. The other three SEB submissions were approved without economic analyses for the same listing conditions and prices as the currently listed filgrastim reference products. The TGA will review the need for an economic evaluation for SEB submissions annually. A study presented at the 18th annual meeting of the International Society for Pharmacoeconomics and Outcomes Research (ISPOR) in May 2013 provided insight into the current HTA practices for SEBs in the European Union.53 Sixty HTA agency websites were searched for SEB evaluation reports. The search yielded 47 HTA reports, of which 38 were single technology assessments and 9 were class reviews or clinical guidelines. Single technology assessments evaluated all the available data through the full, standard HTA process. With the exception of two assessments from the All Wales Medicines Strategy Group, all recommendations were positive; agencies did not recognize significant differences in clinical efficacy or safety between the SEB and the reference product. The decisions of many European HTA agencies were strongly influenced by EMA guidance regarding the similarity in quality, efficacy, and safety of the SEB compared with that of the reference product.67 Key factors influencing the negative recommendations from the All Wales Medicines Strategy Group were lack of evidence to support the use of Omnitrope in adults, and limitations in the economic models provided by the sponsor company's submission for Retacrit. The Scottish Medicines Consortium (SMC) approved all six SEBs marketed in the United Kingdom, using a cost-minimization model which assumed that the clinical outcomes would be the same as the individual reference products.68 Table 6 summarizes the recommendation decisions from single technology assessments carried out by selected HTA agencies. AWMSG = All Wales Medicines Strategy Group; HAS = Haute Autorité de Santé (French National Authority for Health); HTA = health technology assessment; SMC = Scottish Medicines Consortium; TLV = Dental and Pharmaceutical Benefits Agency. aHAS assigned different levels of reimbursement as follows: somatropin 100%, filgrastim 100%, epoetin alfa 65%. The EMA has been the global leader in establishing the approval framework for SEBs. Health Canada, the FDA, and the EMA all follow similar scientific principles in their regulatory guidelines for the evaluation of SEBs. A stepwise approach is taken to determine the similarity of each SEB with its reference product. The type and magnitude of clinical data requirements is evaluated on a case-by-case basis, and depends on the level of uncertainty regarding this similarity. Extrapolation of efficacy and safety data to other indications of the reference product that have not been investigated during the clinical development of the SEB requires scientific justification by each regulatory authority, and is granted on a case-by-case basis. The EMA has approved 18 SEBs for use in the European Union for the following biologic drugs: somatropin, filgrastim, epoetin, follitropin alfa, and infliximab. Epoetin alfa and filgrastim have the largest number of SEB products on the market. The approval of two SEB monoclonal antibodies in September 2013 represents a landmark decision that will pave the way for the approval of other SEB monoclonal antibodies in the European Union. Although only one SEB has been approved in Canada to date, it is expected that new SEBs may be under review by Health Canada. In February 2012, the FDA released its draft guidance on the approval requirements for its new abbreviated licensure pathway for biologics. However, the approval of SEBs is not yet underway and the FDA has not yet received any SEB applications through this licensure pathway. Once the FDA finalizes its SEB guidance, the approval process for an SEB could take at least two years. Therefore, it is expected that the entry of SEBs into the US market will be delayed until 2015 at the earliest. There are numerous SEBs in development. Monoclonal antibodies represent the largest group of SEBs in pre-clinical and clinical development. The percentage price differences between SEBs and their reference products are not predicted to be as substantial as those found between generic and brand name drugs; nevertheless, cost savings are likely to be substantial given the high costs of innovator biologics. Marketed SEBs in the European Union are currently priced at 20% to 30% lower than the innovator products. Although SEBs still account for a relatively small segment of the European Union's pharmaceutical market, they have shown steady annual growth. In 2011, SEBs accounted for approximately 10% of the accessible market (an approximate sale value of €240 million of the total €2.3 billion). 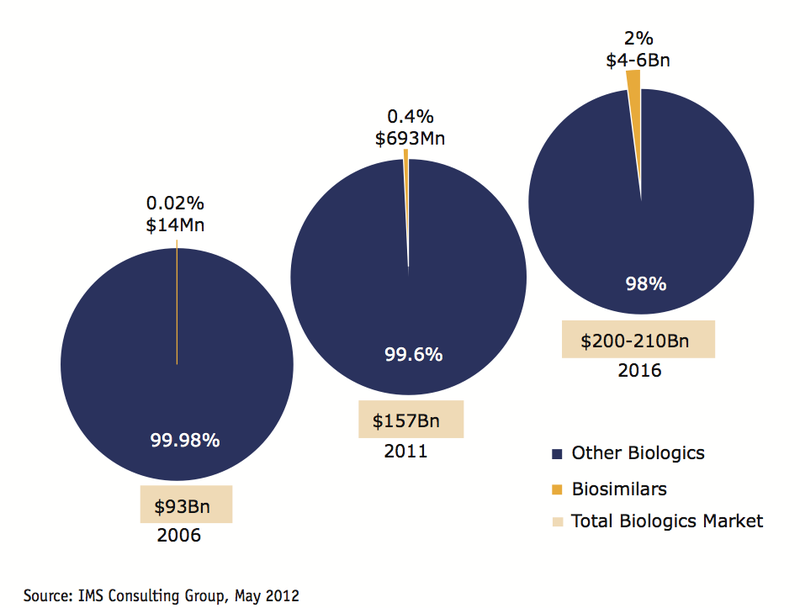 IMS forecasts that global spending on SEBs will increase from US$693 million in 2011 to between US$4 billion and US$6 billion in 2016, representing 2% of biologics spending. The majority of this increase will be attributable to the sale of new SEB drug classes such as monoclonal antibodies, particularly in the US market. Depending on pricing dynamics, payer demands, and the degree to which SEBs are interchangeable with their reference biologics, it is estimated that the US SEB market may be worth between US$11 billion and US$25 billion by 2020, representing a 4% to 10% share of the total biologics market. The use of SEBs in the European Union is expected to result in overall savings of between €11.8 billion and €33.4 billion by 2020. The market entry of SEB monoclonal antibodies is expected to produce the bulk of savings in the European Union of up to €20.4 billion. The US Congressional Budget Office estimates that the availability of SEBs could reduce total expenditures on biologics by US$25 billion per decade, saving the US federal government nearly US$6 billion. The approaches taken by HTA agencies to evaluate SEBs vary. In some jurisdictions, the process is more rigorous, with full HTA submission requirements. Other HTA agencies have produced overarching reports setting policy for all SEBs. Inconsistencies exist in terms of the need for, and type of, economic evaluation required for SEBs. Currently, no guidance from any reimbursement authority exists for the pharmacoeconomic evaluation of SEBs. The majority of the assessments have acknowledged the comparable safety and efficacy of SEBs with their reference products. Questions & answers to accompany the final guidance for sponsors: information and submission requirements for subsequent entry biologics (SEBs) [Internet]. In: Drugs and health products. Ottawa: Health Canada; 2010 May 27 [cited 2013 Sep 18]. Available from: http://www.hc-sc.gc.ca/dhp-mps/brgtherap/applic-demande/guides/seb-pbu/01-2010-seb-pbu-qa-qr-eng.php. Fact sheet: subsequent entry biologics in Canada [Internet]. In: Drugs and health products. Ottawa: Health Canada; 2009 Jul 26 [cited 2013 Sep 18]. Available from: http://www.hc-sc.gc.ca/dhp-mps/brgtherap/activit/fs-fi/fs-fi_seb-pbu_07-2006-eng.php. Guidance for sponsors: information and submission requirements for subsequent entry biologics (SEBs) [Internet]. In: Drugs and health products. Ottawa: Health Canada; 2010 [cited 2013 Sep 18]. Available from: http://www.hc-sc.gc.ca/dhp-mps/brgtherap/applic-demande/guides/seb-pbu/seb-pbu_2010-eng.php. Weise M, Bielsky MC, De Smet K, Ehmann F, Ekman N, Giezen TJ, et al. Biosimilars: what clinicians should know. Blood. 2012 Dec 20;120(26):5111-7. Multidisciplinary: biosimilar [Internet]. In: Human medicines: scientific guidelines. London: European Medicines Agency (EMA); 2013 [cited 2013 Sep 20]. Available from: http://www.ema.europa.eu/ema/index.jsp?curl=pages/regulation/general/general_content_000408.jsp&mid=WC0b01ac058002958c. Klein AV. The first subsequent entry biologic authorized for market in Canada: the story of Omnitrope, a recombinant human growth hormone. Biologicals. 2011 Sep;39(5):278-81. PrOmnitrope™: somatropin [rDNA origin] for injection, lyophilized powder for injection; 5.8 mg/vial, solution for injection; 5 mg/1.5 mL, 10 mg/1.5 mL [product monograph]. Boucherville (QC): Sandoz Canada; 2013 Jun 12. PrHumatrope®: somatropin for injection, biosynthetic human growth hormone of recombinant DNA origin; 5 mg vial, 6 mg/12 mg/24 mg cartridges sterile lyophilized powder and diluent [product monograph]. Toronto: Eli Lilly Canada; 2013 Aug 19. PrNutropin®: somatropin for injection, lyophilized powder for injection; 10 mg/vial. PrNutropin AQ®: somatropin for injection, solution; 10mg/2mL vial. PrNutropin AQ Pen® Cartridge: somatropin injection, solution; 10mg/2mL pen cartridge. PrNutropin AQ® NuSpin®: somatropin injection, solution: NuSpin® injection device prefilled with cartridge: 5(5mg/2mL), 10(10 mg/2mL), 20(20 mg/2mL) [product monograph]. Mississauga (ON): Hoffmann-La Roche; 2012 Dec 21. PrSaizen®: somatropin for injection, lyophilized powder for reconstitution; 1.33 mg/vial, 3.33 mg/vial, 5 mg/vial, 8.8 mg/vial. PrSaizen® click.easy: somatropin for injection, lyophilized powder for reconstitution; 8.8 mg (8.0 mg/mL), 8.8 mg (5.83 mg/mL), 4 mg (1.5 mg/mL). PrSaizen®: somatropin solution for injection in a cartridge; 6 mg (5.83 mg/mL), 12 mg (8 mg/mL), 20 mg (8 mg/mL) [product monograph]. Mississauga (ON): EMD Serono; 2012 Jun 22. Patent register [Internet]. In: Drugs and health products. Ottawa: Health Canada; 2012 Oct 4 [cited 2013 Sep 18]. Available from: http://www.patentregister.ca/. Rader RA. 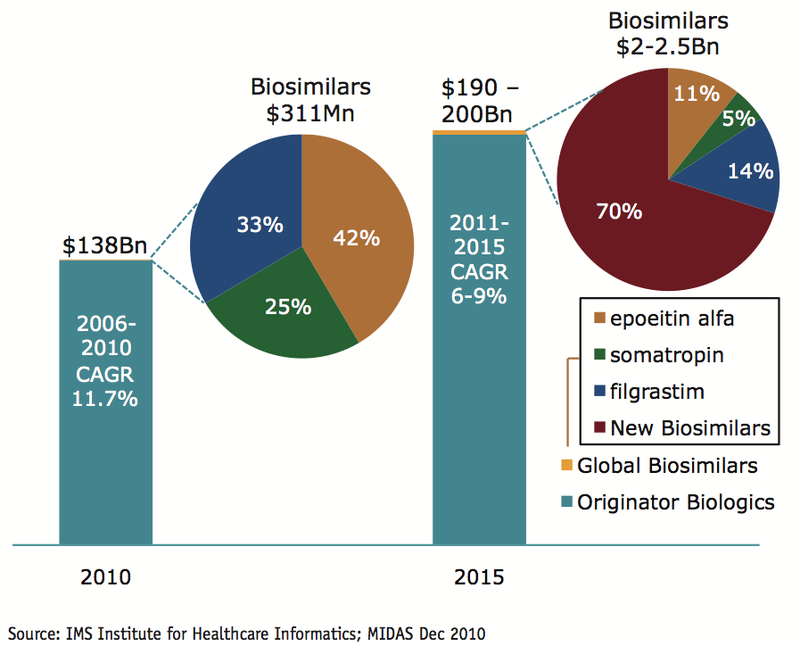 An analysis of the US biosimilars development pipeline and likely market evolution. BioProcess Int. 2013 Jun;11(6s):16-23. Sheppard A. The pharmaceutical market adapting to decreased public expenditure. Parsippany (NJ): IMS Health; 2013 Sep 12. Wild L, Foster L. Biosimilar pricing: past, present and future. Value Health. 2012;15(7):A312. Andreykiv M, Dahal D. Health technology assessment landscape of biosimilars – approaches to evaluations and results [abstract]. Value Health. 2013;16(3):A4. Technology appraisals topic selection. In: Topic selection. London: National Institute for Health and Care Excellence (NICE); 2013 [cited 2013 Sep 18]. Available from: http://www.nice.org.uk/getinvolved/topicselection/TechnologyAppraisalTopicSelection.jsp. Ulcerative colitis (moderate, severe) - infliximab (review TA140), adalimumab (review TA262) & golimumab (2nd line) [Internet]. In: Guidance in development. London: National Institute for Health and Care Excellence (NICE); 2013 Aug 21 [cited 2013 Sep 19]. Available from: http://guidance.nice.org.uk/TAG/357. Stewart A, Aubrey P, Belsey J. Addressing the health technology assessment of biosimilar pharmaceuticals. Curr Med Res Opin. 2010 Sep;26(9):2119-26. Section 3: types of submissions [Internet]. In: Guidelines for preparing submissions to the Pharmaceutical Benefits Advisory Committee. Canberra: Commonwealth of Australia; 2008 [cited 2013 Sep 20]. (Version 4.3). Available from: http://www.pbs.gov.au/info/industry/listing/elements/pbac-guidelines/a-part-1/section-3. Andreykiv M, Dahal D. HTA landscape of biosimilars - approaches to evaluations and results. Durham (NC): Quintiles; 2013 May 20. (Presented at ISPOR 18th Annual International Meeting; New Orleans; May 19-22, 2013). What are biosimilars and are they important? Drug Ther Bull. 2013 May;51(5):57-60. Cite as: Ndegwa S, Quansah K. Subsequent Entry Biologics — Emerging Trends in Regulatory and Health Technology Assessment Frameworks [Environmental Scan, Issue 43, ES0284]. Ottawa: Canadian Agency for Drugs and Technologies in Health; 2014.